As the world continues to becoming more digital and technologically proficient, the need for massive cameras has become less of a necessity. 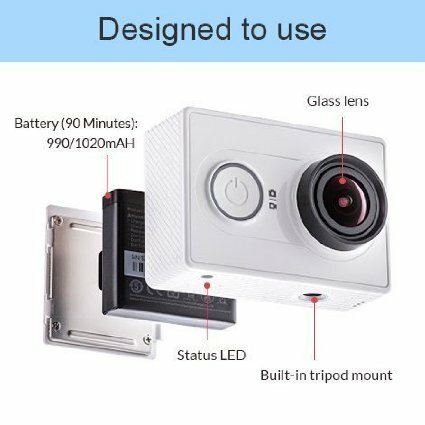 The small camera movement has led to the creation of devices that can easily be transported, such as the GoPro and the Xiaomi. Both great for capturing realistic depictions, the Gopro vs Xiaomi debate is one that leads consumers to find benefits in either camera. GoPro vs Xiaomi: Which Is Better? With phones able to capture high quality imagery, rivaling those of cinematic counterparts, the small camera movement has increased in momentum since the beginning of the decade. As technology continues to improve, action camera like the Gopro and Xiaomi will only increase in popularity. Below is an in depth overview and comparison of these two action cameras. 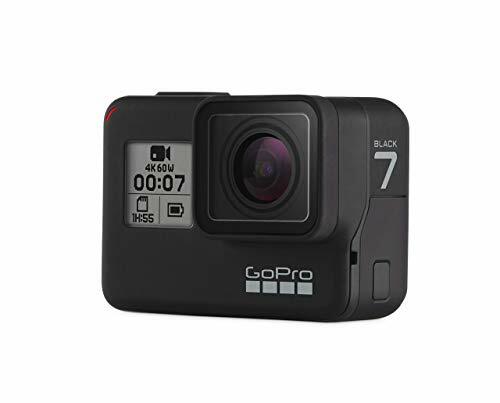 When people think of the gold standard in action cameras, the GoPro is the name that comes to mind due to its brand recognition and overall customer satisfaction rating. For creative filmmakers that want to capture interesting shot perspectives while rock climbing, diving or skydiving, this camera has several features that make it a go to camera. Measuring in the dimensions of 1.8 X 2.6 X 1.4 inches, this compact camera only weighs 4 ounces, making it the perfect accessory to anyone’s travel or vlogging needs. When speaking of video features, the GoPro allows users to record 4k video at a maximum of 30 frames per second, 1440p at 80 frames per second and 1080p up to 120 frames per second. The photo modes of this camera are a standout feature as users can shoot 12 MP stills and the camera also has a burst mode for 30 frames per second. With the ability to shoot 12 MP, a photographer has the option of capturingincredibly crisp and vivid images. 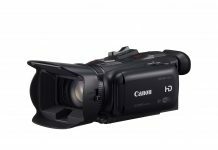 With image quality that can be described as vivid and crisp, this camera makes the filming process a dream by easily transitioning from day to night without losing shot quality. Though not perfect (as complaints concerning lack of depth in videos has been spoken about) the image quality is still one that is hard in other action cameras. One of the best features of all GoPro cameras is the waterproof element. Due to its sealed and smooth design, the GoPro’s case is both its home and source of protection. While other action cameras require additional equipment in order to preserve to quality and life of their camera. Once unboxed, the GoPro is ready for use underwater. With the ability to travel up to 10 meters underwater without possibilities of distortion, users are capable of capturing some incredible footage of animals. The GoPro also comes equipped with a touch screen, located at the back of the camera. While some cameras do not have brightness levels equipped for menu items to be seen in full sunlight conditions, the GoPro does not suffer from the same fate. One cause for concern is that it sometimes takes a few clicks to make the touchscreen commands work. For those who do not feel comfortable using the GoPro touch screen, users can connect their camera to the Quick Stories app. Through this app, users can switch between modes, change the camera settings, start recording, take pictures and also display GoPro media on their smartphones. Depending on the model of GoPro purchased, the new models now come with a voice command option which allows users to embrace another popular wave of voice controlled electronics. Through voice commands, a user can being recording or stop recording without needing to move a muscle. And while the touch screen feature may occasionally lag, the voice command works the first time. Another feature that makes this camera one for serious filmmakers is the new addition of image stabilization. While some filming experiences benefit from having shaky footage, it is not normally the intent of a filmmaker to capture and use jumpy climbs. The image stabilization feature is a self correcting feature that smooths out clips, thus making them more professional and readily usable. And while there is editing software that can stabilize video, having a camera that eliminates this step makes the process of capturing video much more appealing. In order to get the full scope of the Gopro vs Xiaomi debate, it is time to get acquainted with Xiaomi cameras. The camera that rounds out the Gopro vs Xiaomi debate is the Xiaomi action cameras. Headquartered in China, Xiaomi is an electronics company that makes and invests in smartphones, laptops and other consumer electronics. With dimensions of 1.7 x 2.6 x 1.2 inches, these cameras bare a striking resemblance to GoPros but do not expect accessories purchased for a GoPro to fit with these cameras. In terms of video resolution, this camera can film at 720p, 1080p, 480p, 4k, 2.7k. With a wider range of resolution than most other action cameras, the Xiaomi makes it easier for a filmmaker to tailor settings to fit their specific needs. Something else that users will notice instantly is the image quality of these action cameras. With images that only be described as pronounced and vibrant, the Xiaomi cameras allow filmmakers to capture the beauty of any setting. Most other action cameras either have problems with edge distortion or noise but the Xiaomi has found a way to negate that problem and offers a fully immersive viewing experience. In photo mode, there are four different modes that a user can choose from; normal, time lapse, self-timer and burst, In the time lapse mode, there are seven settings ranging from every .5 seconds to an entire minute between shots. The snapshot mode is one that does not seem to add value to the app. When inside this mode, a user is only able record low resolution 640 x 480 shots that last about 10 seconds each. While some may like snapping low resolution footage (in order to achieve a specific look), the actual practicality of this mode does not make sense when there already is a video mode which produces high quality footage. While not a problem, users will have to get used to the fact that this camera uses LED lights as indicators for everything. For example, once the camera is on, and you’ve switched from photo to video mode, the only way to know if your camera is recording is by looking at a small button on the top that is blinking a red color. The LED light on the front of the camera has nothing to do with recording and only indicates the charge level of the camera at the present time. The camera battery lights progress through three colors: blue (indicating a full charge), pink (indicating that there is some battery left), and then red (which indicates that the battery is pretty much exhausted). For those who do not want to work exclusively on the camera, there is an App that can be used to supplement work. It should be pointed out that the app is Android only, but if compatible, a user is able to toggle between three different settings (video, snapshot and photo). However, the main reason for using the app is its ability to make the transition from different settings in the camera extremely simple. One of the most important setting changes is quality. Ranging from low, normal and high, a user is able to designate how they want their video or photo to be captured. Another major setting change is the resolution, which goes as high as 1920 x 1080 60P 16:9 and as low as 848 x 480 240P 16.9. Users should be careful to always make sure that they are in the right format because this app can capture in both NTSC and PAL. A very interesting feature that can be found in the settings is the lense rectification option. Normally when filming with any action camera, the image has a bit of curvature which causes it to have a slight fisheye effect. With the lens rectification option, the image becomes straightened and more cinematic in its look. One potential downside is that in order for this effect to work, the camera has to cut towards the center of the image; effectively unable to capture the side views. Another great feature of this camera is its ability to adjust to different light settings without much of a glitch. For example, if a filmmaker is walking down a shaded alley and then suddenly emerges into a brightly lit area, there are certain action cameras that would not be able to cope with such a sudden change. The Xiaomi cameras come equipped with a high quality sensor which makes those kinds of transitions incredibly simple. One problem that some users may run into the actual ease of finding and purchasing this action camera. As they're not actively selling in the United States currently, those interested in purchasing will need to look to independent retailers such as Gear Best to test out these cameras. A major strike against this camera is that it does not come as a waterproof apparatus. In order for users to get cool underwater shots, they would have to buy separate casing. While some may not find this to be a major cause for concern, it is an extra step that some should consider if their intent is to use this camera in water based settings. Something else that may not make this camera ideal is its lack of an image stabilization feature. While there are some filmmakers that capture footage freehand and make it look as though it were filmed on a steadicam, for 98% of the population, that is not the case. 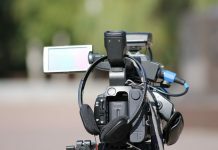 Without the image stabilization feature, the only option that a filmmaker has is to either cleverly edit out the worst parts of their footage or use an editing software like Adobe Premiere. 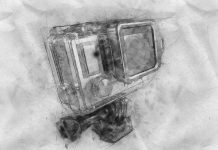 When comparing and contrasting the merits of action cameras there are certain areas that need to be accounted for: price, video and image quality, sound quality and extra features. These are the criteria used to demonstrate which camera excels in what areas. Dependent on where these action cameras are purchased, the GoPro cameras can range from $370 to $400. Since there are so many versions of GoPro camera, the price is differences are due to model type and year of release. The same rules apply to Xiaomi cameras, which can range in price from $50 to $70. While price should not be the most important factor, it is still important to point out that on average, the Xiaomi is sold at a cheaper price. In addition, the Xiaomi has wifi capabilities which are not available in all GoPro models. One place that the Xiaomi excels over the GoPro is in the still image category. Due to its numerous options on the app, the user can sharpen settings to create incredibly vibrant and crisp images. The GoPro, while producing great images, does not produce stills that match the quality of the Xiaomi. However, when it comes to video, there is a very dramatic switch in the results. For those who want to use the lens rectification setting for video mode on Xiaomi, be wary of the loss of depth and overall clarity of the video. While the video becomes less rounded, vibrant color is still present. However, clarity of image is sacrificed. For the GoPro, when in image mode it does not have this problem, and with its image stabilization option, the camera never feels wobbly. The Xiaomi comes with a very tiny built-in microphone, but this tiny microphone is able to capture incredible sound quality without producing extra noise or echo. Whether filming bird noises or filming a street performer, this action camera is able to capture warm timbers and dark bass sounds with great clarity. The GoPro comes with three microphones which gives the user a greater ability to select different audio stream options.That being said, depending on which model a person purchases, the wind noise cancellation feature may not be present. Even without the noise cancellation feature, the GoPro is able to produce sounds that immerse viewers into the situation filmed on camera. Also due to its design and structure, the GoPro is less likely to have its audio sources distorted. The GoPro is filled with extra features which set it apart from its competitors. Beginning with its waterproof and dirt proof design, a user can immediately take this camera underwater without needing to purchase extra casing. With its image stabilization feature, even the most wild of filmmakers can rest assured that their footage can be used. The image stabilization feature of the GoPro has changed the way in which filmmakers approach their projects by allowing them to gain a certain degree of control over the potentially shaky footage they film. The GoPro also features an incredibly easy-to-use touch screen feature, which makes moving between image settings simple. A user can change settings such as time lapse in order to create very specific sequences to fit their individual goals. While the GoPro may have some advantages, the Xiaomi is no slouch either, especially when it comes to battery life and image quality. Though not much a difference, the Xiaomi camera can run up to 2 hours straight when fully charged when compared to the 1 hour and 40 minutes of the GoPro. The Xiaomi comes with a 1400mAh battery as opposed to the 1220mAh battery backup of the GoPro. The overall image quality of the Xiaomi may be preferable to some filmmakers, depending on the look wanted. The Xiaomi is known for producing warm and rich colors while the GoPro offers a raw and gritty feeling to its imagery. For those interested in achieving a more cinematic feeling, the Xiaomi is designed to suit those needs. As one can see, the world of action cameras continues to expand and improve. 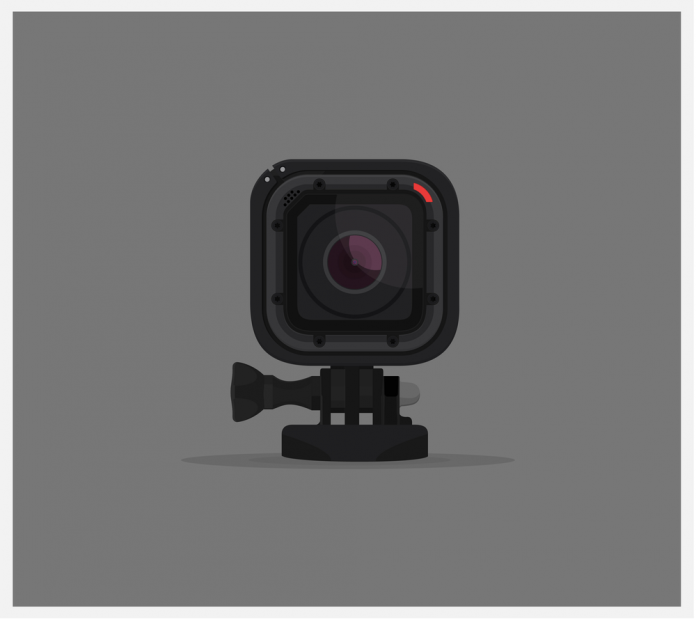 With cameras like the GoPro and Xiaomi on the market, filmmakers or the casual vlogger are able to create their own narrative through a small apparatus. If you’re someone that wants to record in areas where it rains or underwater, the GoPro is the way to go, and making the extra investment is worth it. However, for those who are looking to create visually appealing sequences on a budget, the Xiaomi is a great choice as well. 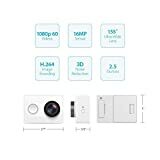 Since the video and photo qualities of these two cameras are very similar, it is the extra features that should be taken into consideration. With image stabilization and waterproof design, the GoPro is an all around better investment which will lead to stunning film sequences. Next articleAction Cam vs GoPro Comparison: Which is the Better Device?